Location Au Bas Prix offers cars, commercial vehicles, minibuses and people carriers for hire throughout La Réunion. Au Bas Prix offers a fleet of over 200 vehicles (in 10 categories), with 24-hour support. Based at Roland Garros airport and at Saint-Denis, all cars are new and less than 18 months old. 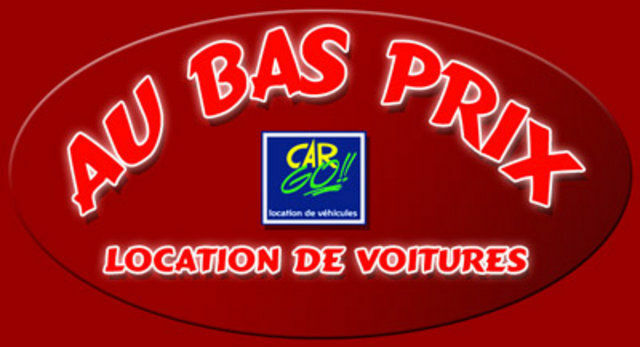 The ""low cost"" Au Bas Prix Car Go company is a certified member of the CNPA. 24 hour a day breakdown assistance and prices include packages with unlimited mileage and discounted rates according to the duration. Chèques Vacances (French holiday vouchers) accepted. Free home or hotel delivery available. Au Bas Prix offers a discount of 10% on category A & B vehicles for 4 to 13 days for any reservation during the 1st quarter of the year.